We’ve been posting and discussing about this island in the past few days and just right in time, GetGo announced a promo where lucky members can bring 9 of their family and friends to an exclusive trip to this island in Palawan. I guess, our plan after all is going to be a reality (that’s if we got lucky! ), and we wouldn’t even spend a thing. 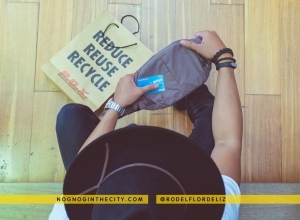 Continue reading and will tell you more about this exciting news. Imagine an exclusive island all for you and your loved ones! A luxurious paradise you can already call as your own. You can have the chance to have it all for free especially if you are a GetGo member. 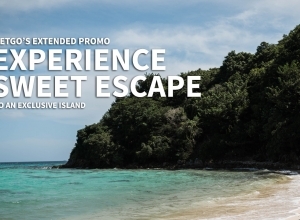 GetGo members are up for the grandest reward of their lives yet with GetGo’s Exclusive Island Escape promo. 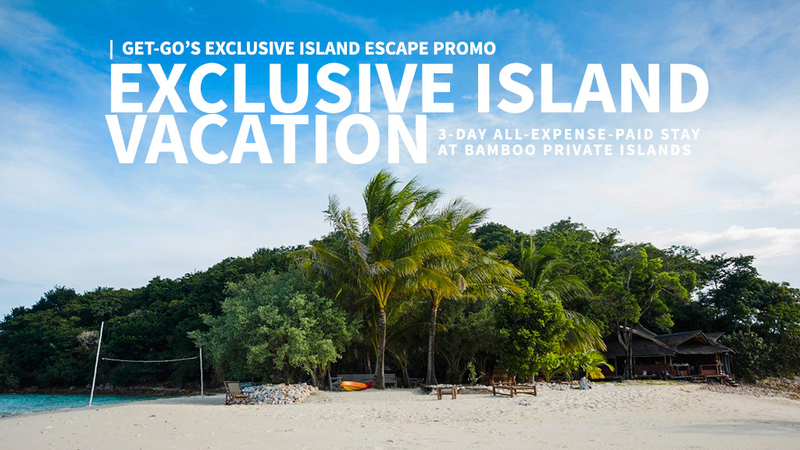 Three lucky GetGo members can have a piece of heaven on Earth with round-trip tickets to Coron, Palawan and for the grand price a 3-day all-expense-paid stay at Bamboo Private Islands for 10! Bamboo Private Islands lies hidden in the middle of trendy Calamianes. Travelers can easily access it with a banca or speedboat ride from Coron. Upon arrival, visitors are greeted with white sands and crystalline waters surrounding the beautiful island. Individuals, couples, barkadas, and families can enjoy a peaceful escape and soulful getaway with the island’s promise of exclusivity and privacy. Uniquely-designed bamboo huts await guests who want to experience a simple and humble island living. Bamboo Private Islands also boasts of its true farm-to-kitchen dining. Everyone can delight in authentic, delicious everyday meals. Likewise, adventure seekers can make the most out of their island stay by indulging in exciting activities where they can see and appreciate the beauty of Calamianes. From snorkeling, diving, kite boarding, paddle boarding, and island hopping, travelers can enjoy breath-taking views of the island’s waters and mountains-capes. Guests can even dine while basking in the picturesque sight of the sunset at the open-air pavilion. To join, members simply have to earn and/or redeem GetGo points from January 31 to March 31, 2018. Each GetGo point earned and redeemed is equivalent to one (1) raffle entry.